While our work always comes down to serving individuals and their communities, we are grateful for the opportunity to work on a larger scale with governments and non-governmental organizations around the world to have a broad impact on the countries and communities we serve. USAID's Afghan Children Read project seeks to implement a primary education initiative to improve equitable access to education and learning outcomes for girls and boys in Afghanistan. SIL LEAD serves as a subcontractor to Creative Associates on this project. SIL LEAD has been empowered as a winner of the Book Boost: Access for All Challenge to help address the shortage of quality books in accessible formats for children who are blind, have low vision, or experience other disabilities that impact their use of printed materials. Accessibility features are currently being added to Bloom and will be tested in the Philippines. USAID and the United Kingdom Department for International Development (DfID) have jointly funded a groundbreaking, five-year program focused on reading outcomes to support the DRC’s 2016 – 2025 education and training strategy. SIL LEAD serves as a subcontractor to Chemonics. Through the Enabling Writers Workshops, the ACR Partnership supports training and capacity-building for local authors to continue to create high-quality children’s books. Approximately 3000 books will be created in 15 languages in 6 countries through this effort. SIL LEAD serves as a subcontractor to URC on this project. The main objective of the country-wide USAID READ TA project was to improve the reading and writing performance of 15 million primary grade students in seven Ethiopian languages, and English as a second language. SIL LEAD served as a subcontractor to RTI on this project. Under USAID’s Ghana Learning, pupils will learn to read in their local language. SIL LEAD provided reading specialists and other consultants to help lead four materials development workshops. SIL LEAD serves as a subcontractor to FHI 360 on this project. 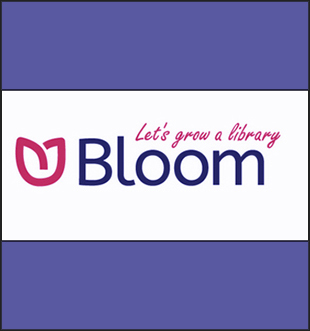 SIL LEAD is conducting Bloom training and writers workshops in Guatemala City and Quetzaltenango to train writers to use Bloom to produce decodable and leveled readers in Mam, K'iche', and Spanish. SIL LEAD is serving as a subcontractor to Juarez and Associates on this USAID-funded project. 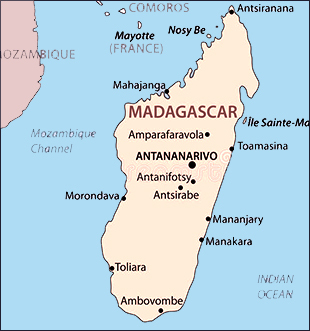 SIL LEAD consultants provided SynPhony analaysis of three Malagasy languages, provided linguistic input, assisted with the development of Scopes & Sequence, and provided Bloom training focused on the production of decodable and leveled texts. SIL LEAD served as a subcontractor to FHI 360 on this USAID-funded project. The MERIT interventions sought to improve reading instruction and acquisition in the classroom, increase parental and community engagement in supporting student reading, create safer learning environments for reading, institute pathways for sustainability, and advance USAID/Malawi’s priority of integration across programs. SIL LEAD served as a subcontractor to RTI. USAID’s Early Grade Reading Program (EGRP) is a 5-year project to support the Ministry of Education in Nepal with the overall goal of improving reading outcomes for over one million learners in Nepali and three mother tongue languages: Rana Tharu, Maithili, and Awadhi. SIL LEAD served as a subcontractor to RTI on this project. The objective of USAID's 5-year Senegal All Children Reading (ACR) program is to provide technical assistance to improve reading outcomes in children in the early grades of public school and the equivalent grades in Daara in the target regions. SIL LEAD serves as a subcontractor to Chemonics on this project.